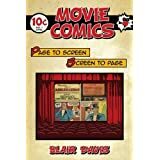 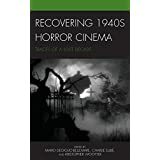 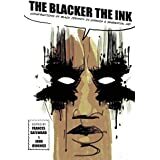 In my new book Movie Comics: Page to Screen/Screen to Page I cover the early history of how films adapted comics along with how comics themselves regularly adapted films (and television too!). 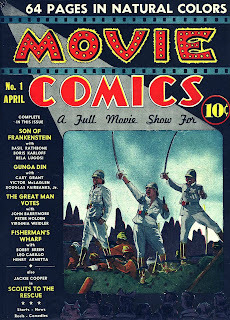 The biggest example that I came across some years back, which really inspired me to write this book, was Movie Comics #1. 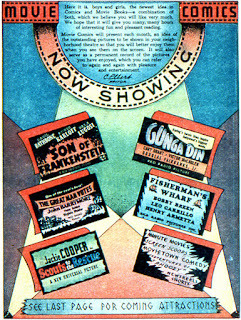 Published by All-American Publications (which a few years later was part of merger that formed what would become known as DC Comics), the series only ran for six issues in 1939, but remains a fascinating example of how comics remediated the movies and offered a souvenir of the film for eager fans. 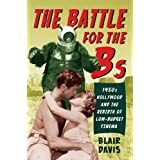 While home video would allow viewers to go back to a film once it left theatres, in the Classical Hollywood era you had only your memories of a film's imagery once it was gone from your local theatre. 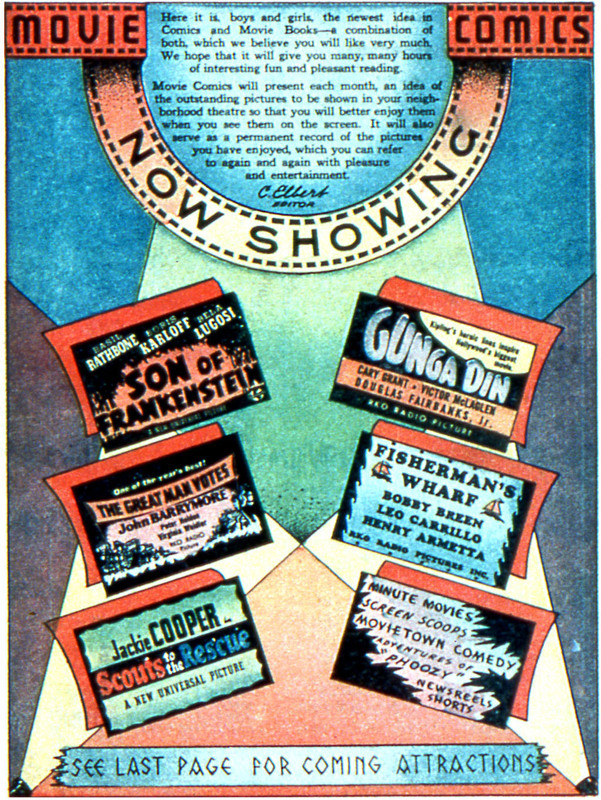 The third issues describes how "we hope you will enjoy reading it before you see these pictures and again, after you see them in your neighborhood theatre,” while the fifth suggests, “We hope you will read Movie Comics, before and after you see the pictures, so you can get triple the enjoyment out of them!" 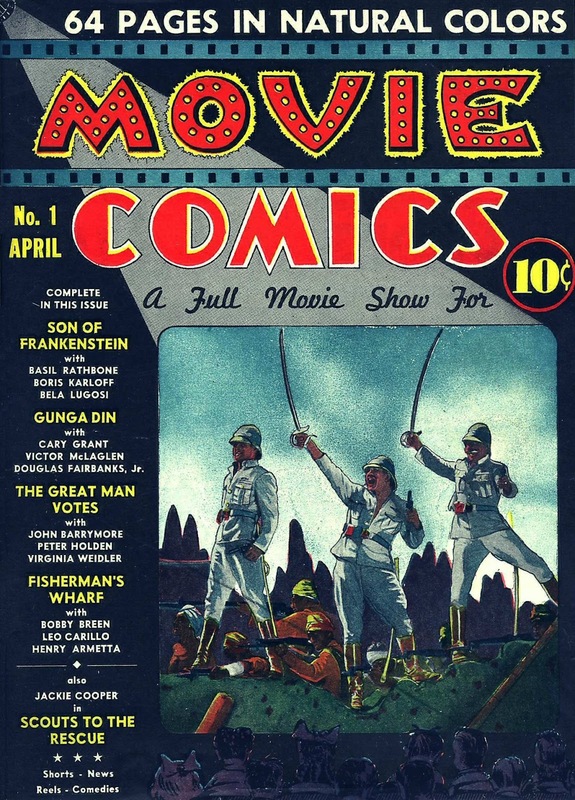 The six-issue run of Movie Comics from 1939 is an important example of how film and comics intersected in this era. 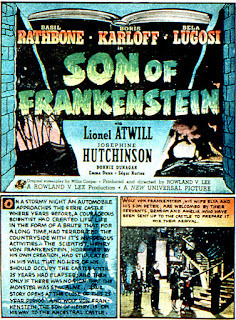 For a full overview of the series, please see Movie Comics: Page to Screen/Screen to Page.